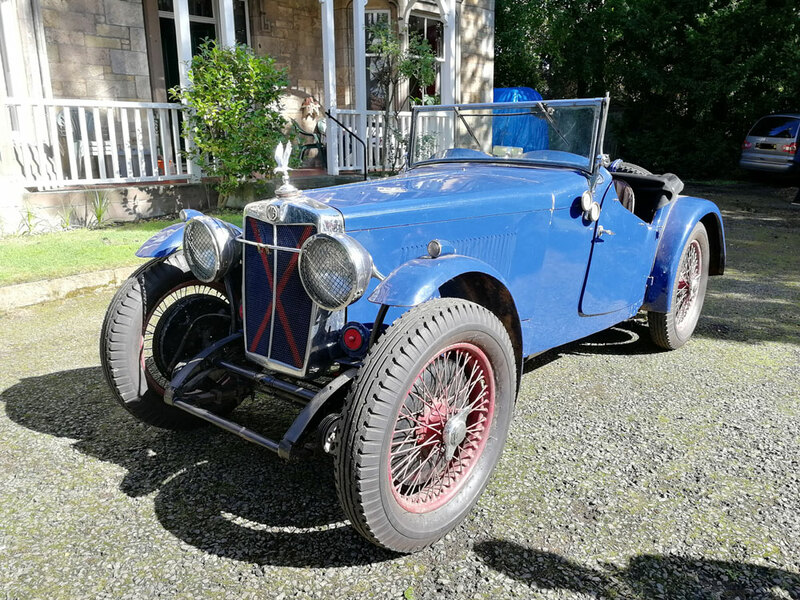 1933 MG MAGNETTE K2 SPORTS, Registration no. MG 2955 Chassis no. K2019 FOR AUCTION ON SUNDAY APRIL 7th (more pictures are available here https://www.bonhams.com/auctions/25450/lot/45). *Matching chassis and engine *One of four originally fitted with the 1,271cc engine *Present family ownership since 1964 *Regularly used and maintained until 2015 (dry stored since) *Offered for re-commissioning The Magnette K2 offered here is 'K2019', so presumably either the last, or second-last of the 20 produced, depending on how the chassis numbering began. The last four of these were fitted with the larger 1,271cc KD engine, which is present and correct in 'K2019', and according to the Triple M Register only numbers '18' and '19' are now surviving. 'MG 2955' was first registered on 4th January 1934. Little is known of the car's pre- and immediately post-WW2 history apart from a photograph of it competing in an unknown event (see below). Sold by Chiltern Cars in 1953, the MG was purchased by Mike Waggot on 30th April 1964 from Geo H Steele & Co of Newcastle-upon-Tyne, partially dismantled following the disappearance of its previous owner (see advertisement, correspondence, purchase receipt, and photograph on file). Mike Waggot then re-commissioned the car and used it, carrying out regular maintenance and occasional major works until 2015, since when it has been kept in dry storage.